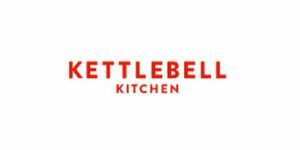 We have had the pleasure to taste the amazing meals offered by both Kettlebell Kitchen and Pre-Made Paleo and we completely understand if you are having a hard time deciding between the two. In this Kettlebell Kitchen VS Pre-Made Paleo comparison, we highlight all the strong and weak points of these two popular services in order to help you find out which one better suits your individual needs and which one is objectively superior to the other. Delayed delivery on first order - notified day of; arrived three days later with all dry ice melted. Said replacement order being shipped OVERNIGHT; actually shipped ground and arrived 5 days later. Last disappointment was the food! Over cooked veggies even before overheating, bland flavor, soggy potatoes, thigh chicken meat was fatty around the edges, turkey meatloaf was grey in color and disgusting...... etc. Three strikes, they're OUT for us!